Hello! 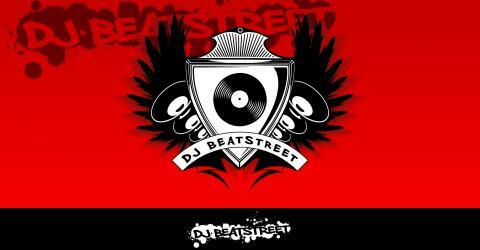 I see that a lot of you are still visiting this page, please make note that I have moved everything to the New & Improved www.djbeatstreet.com this site will be no longer updated. All mixes, edits and event info will be featured on the new site! Thanks & see you soon!! I think the production on “Dead & Gone” was great but the overall song.. NOT SO MUCH! Its sad and not really cheerful and the Fat Joe record is cool. Sadly, I did not do as well as it should on radio. Here is another twist to this R&B track for your sets or iPod. Let’s face the facts.. Super Bass will NEVER DIE! and Wild One is picking up some heat..
Whats more perfect than mashing up a birthday song with a song about birthday cake?? The 80’s!!!!!!!!!!!!! I know I have been greatly slacking.. and I apologize.. some pretty cool changes have been going on and I am excited for YOU to see it when it is all said and done.. Here is the game of catch up with the mixes for you iPod/iPad/iPhone/Tablet/Android/Blackberry/Zune or whatever medium you use. I found this to be pretty brainless and a cool opportunity to bring back the Bloody Beetroots “Warp” track. The transition goes from 130 – 80 BPM. Life has seem to fall back intro regular rotation. The weather is slowly picking up, The Walking Dead is back from its mid-season hiatus, new music is starting to pick up as we approach the 3rd quarter. Here is the mix from this past weekend’s #AfterHoursMix on @Wired965philly. Don’t forget if your bored, feel free to harass me @djbeatstreet. FYI I got blocking power.